A widely applicable employment contract for a corporation employing personnel in the United States with a comprehensive set of provisions. This contract can be used in any state in the United States. 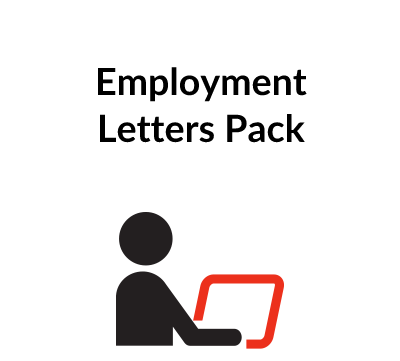 You need this document if you are an employer wanting to hire an individual to work in your organization, and want a clear written record of your employee’s duties and responsibilities towards your company. 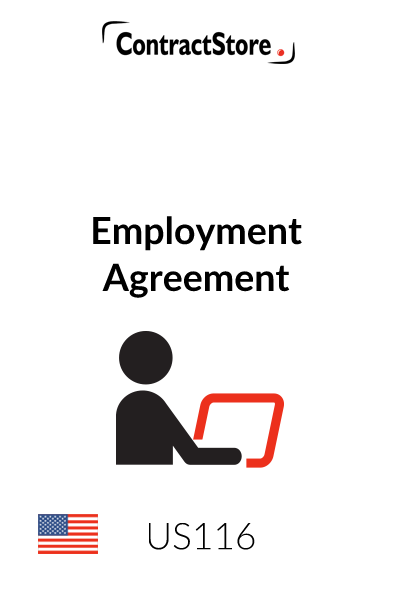 This Employment Agreement is designed for use between a corporate employer (the “Company”) and an individual employee (the “Employee”). Except for application of mandatory state and federal principles relating to race, gender, age and other forms of unlawful discrimination, most U.S. states recognize the concept of “at-will” employment, and this Agreement changes the “at-will” general principle as it applies to the parties to the Agreement. This form is intended for use in any state in the United States. However, as is the case with any agreement for use in the United States, regard must be had for the possibility of variations in the laws from state to state (which are commented on below where material). In the context of commercial relationships, the laws do tend to be substantially similar among the states, but there are areas of substantive difference. In this regard, the state of Louisiana stands out in particular, as it bases parts of its commercial and other laws on the civil codes rather than on the common law. When in doubt, it is imperative to consult with competent legal counsel admitted in the state in question. 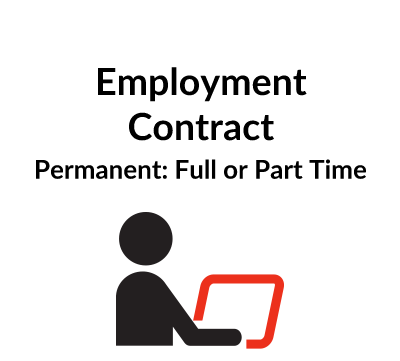 This form provides a good starting point for preparing a first draft of an Employment Agreement. However, as with use of any form, it is very important to take the time to read the form in its entirety to ensure that it is customized appropriately for use in your individual situation. For all but the simplest of transactions, it can be anticipated that some customization will be in order; and as mentioned above, it may also be advisable to consult with competent legal counsel. This form is styled very much on a U.S. model, with specific identification of the parties and definition of the business purpose of the Agreement in one or more recital clauses at the beginning of the Agreement. It is also customary to recite the mutual receipt of consideration. The length of the form and the tendency towards more detail may also come as a surprise to persons not accustomed to dealing with U.S. lawyers. That having been said, an attempt has been made to use “Plain English” and avoid the use of legalese wherever possible to do so. The parties’ names and states of residence/incorporation (as applicable) should be inserted at the beginning of the document. Unless specifically warranted by the nature of the parties’ relationship, no customization of the recitals is required. Alternate signature blocks are included to accommodate execution by corporate parties and individual parties. These should be duplicated and/or deleted and customized as required. The italicized language in brackets is for guidance only and should be deleted. Paragraphs 1.1 through 1.4 contain the basic terms of the employment. Paragraph 1.1 allows the parties to fill in the Employee’s title, and either to stipulate that the Employee’s duties are to agree from time to time or actually to specify them in the text of the Agreement. The brackets and bracketed language that is redundant should be deleted. 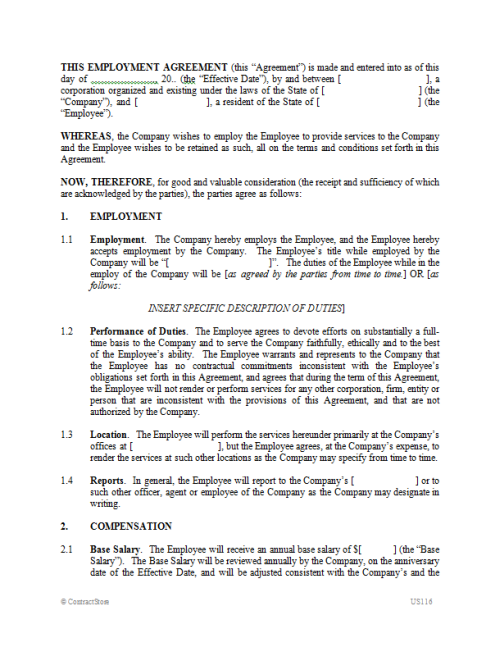 The parties should complete the information in paragraphs 1.3 and 1.4 relating (respectively) to the location at which the Employee will render services and the person or persons to whom the Employee should report at the Company (which is set up to be a title, e.g., Regional Manager of Sales, but which can be a named person, e.g., John Smith). Paragraphs 2.1 through 2.3 provide for the compensation of the Employee – an annual amount in Base Salary, vacation/fringe benefits and reimbursement of certain business expenses. Under paragraph 2.1, the Base Salary is reviewed annually. These paragraphs provide that any inventions and other intellectual property that is developed by the Employee on the Company’s time and using resources provided by the Company must be turned over and assigned to the Company. This is a common provision to include in employment and consulting agreements, though can present problems in some cases. More specifically, under the laws of many states, an employer entering into a contract with an employee that contains an assignment-of-inventions clause must also serve on the employee a written notice to the employee that the contract contains such a clause and that the clause does not apply in the circumstances described in paragraph 3.3 (which should be specifically itemized in the notice). Another potential pitfall under state law is that the assignment-of-inventions clause will be void if it exceeds the scope of what is allowed under state law (which varies to some degree from state to state). In cases of doubt, it is advisable to consult with competent local counsel admitted in the state in question. This is a short form confidentiality provision which may be adequate in many cases. If more detailed or more extensive protection is required, consider using a free-standing Nondisclosure Agreement available on the ContractStore website (or incorporating the confidentiality provisions from that Nondisclosure Agreement). Note that this provision is expressed to survive termination of the Agreement, and does not expire by its own terms. This is a short form noncompete provision which may be adequate in many cases. If more detailed or more extensive protection is required, consider using a free-standing Noncompete Agreement available on the ContractStore website (or incorporating the noncompete provisions from that Noncompete Agreement). Note that this provision is expressed to survive termination of the Agreement for the noncompete period (12 months). It is deliberately limited in geographic scope and duration to reduce the risk of challenge on grounds of being “unreasonable”; any increase in geographic scope and/or duration should be the subject of consultation with competent legal counsel admitted in the state in question. This paragraph is intended to prevent one party from claiming intellectual property rights which are not expressly conferred by the Agreement. This Agreement is set up to be in force for a fixed term to be specified in paragraph 7.1. Upon the expiration of this term, the Agreement terminates. Other options are possible here (e.g., automatic renewals unless either party serves notice of non-renewal, rolling renewal terms, etc.). 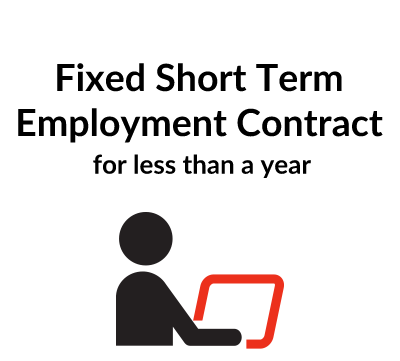 In the employment context, the automatic termination is preferable as goes the furthest in preserving basic “at-will” termination rights upon expiration of the term, though it does force the parties affirmatively to renew or renegotiate its terms at that time. Paragraph 7.2 describes some limited circumstances in which the Company can terminate the Agreement prior to its term. As noted above, termination of the Agreement may be subject to mandatory state and federal principles relating to race, gender, age and other forms of unlawful discrimination. Paragraph 7.3 provides that certain terms may survive termination of the Agreement, paragraph 7.4 obligates the Employee to return certain materials to the Company upon termination and paragraph 7.5 provides for termination of the Employee’s employment upon termination of the Agreement. The dispute resolution provision offers alternative language for arbitration and litigation. Even where arbitration is elected, it is helpful to include an exception for attempts to seek injunctive relief. The clauses do leave blank a number of matters, including the place of arbitration and the choice of state for litigation-based dispute resolution. The choice of rules is also bracketed in case the parties elect to use a different set of rules (e.g., the International Chamber of Commerce). In U.S. litigation, the prevailing rule is that each party bears its own litigation costs (subject to some narrow statutory and other exceptions). The language in paragraph 8.3 is intended to impose the so-called “English rule” to litigation costs. • The force majeure periods in paragraph 9.1 should be adjusted in light of the nature of the Agreement and the term of the Agreement as a whole. • Notice information should be completed in paragraph 9.2. Notice by e-mail could also be added as an option if the parties are comfortable with this method of notice. • Paragraph 9.5 contains a basic non-assignment provision which the parties should review carefully. • Paragraph 9.7 should not be deleted. Most states have moved away from an “all-or-nothing” approach to enforcing illegal or unenforceable contract provisions, and the severability provision in paragraph 9.7 is an attempt to instruct a court to adopt a flexible approach to the Agreement in the event that one or more clauses prove to be illegal or otherwise enforceable, provided that it is still possible for the essential intent of the parties to be achieved. This paragraph is commonly referred to as a “merger” clause, and is intended to avoid pre-contract discussions from surviving into the written contract. It also stipulates that amendment and waivers of the Agreement must be in writing in order to be effective.